Natixis Investment Managers announced the launch of the Mirova International Sustainable Equity Fund (MRVYX), an international equity mutual fund which utilizes Mirova’s sustainable investing experience. 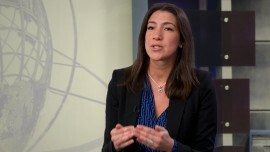 The Mirova International Sustainable Equity Fund is an all-cap international equity fund that seeks long-term capital appreciation and also seeks to maximize exposure to companies with a positive impact on the United Nations’ Sustainable Development Goals, while avoiding companies whose activities or products have a negative impact on or create risk to achieving such goals. 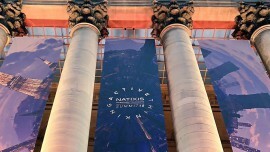 Natixis Investment Managers announces the launch of Flexstone Partners, a global private equity manager that brings together three of Natixis Investment Managers’ existing private equity affiliates: Euro-PE, Caspian Private Equity and Eagle Asia to provide investors with access to a truly global and highly active approach to private equity. Eric Deram, previously Founder and Managing Partner of Euro-PE, has been appointed as the CEO of Flexstone Partners. Natixis Investment Managers’ Center for Investor Insight surveyed 500 institutional investors around the world on their market outlook and asset allocation plans for 2019. The survey found that investors anticipate more turbulent times ahead but feel prepared to handle the risks in 2019. Natixis Investment Managers announced findings from the 2018 Global Individual Investor Survey assessing investor sentiment and behavior ten years after the financial crisis and a subsequent record bull market. McDonnell Investment Management, LLC will be combined with Loomis, Sayles & Company, L.P. in early 2019, both firms announced today. Both companies are affiliates of Natixis Investment Managers. Based outside Chicago, McDonnell specializes in municipal and taxable bond strategies and manages $11.7 billion in assets. This combination will provide McDonnell clients with an enhanced offering backed by Loomis Sayles’ expansive investing, research and operational capabilities. The reopening of Oakmark International Fund could be fortuitous timing for investors seeking bargain hunters to pick through the recent market carnage. 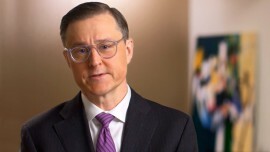 David Herro, manager of Oakmark International Fund, is included in an article assessing the performance of Morningstar’s 2009 international equity Manager of the Decade award recipients. Natixis U.S. Equity Opportunities Fund received a 2018 Best Mutual Funds Award from IBD. Co-manager Colin Hudson from Natixis-affiliate Harris Associates is interviewed. 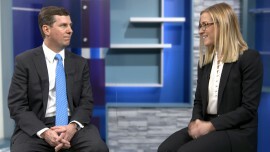 Kathryn Kaminski, chief research strategist and portfolio manager at AlphaSimplex Group, discussed trend-following strategies as a risk-mitigation tool. Elaine Stokes, co-manager of Loomis Sayles Bond Fund, discussed where she sees opportunities in a challenging market for bonds. ASG Tactical U.S. Market Fund, A Class [USMAX] – Ranked best fund based on 54 eligible US funds (127 share classes) for the five-year period ending November 30, 2018, for the Alternative Long/Short Equity Funds category. Loomis Sayles Global Allocation Fund, Y Class [LSWWX] – Ranked best fund based on 57 eligible US funds (154 share classes) for the 10-year period ending November 30, 2018, for the Flexible Portfolio Funds category. Loomis Sayles Limited Term Government and Agency Fund, Y Class [NELYX] – Ranked best fund based on 10 eligible US funds (21 share classes) for the 10-year period ending November 30, 2018, for the Short-Intermediate US Government Funds category. In June 2018, the Boston CIO Leadership Association recognized George Marootian, head of technology for US Distribution at Natixis Investment Managers, as winner of the 2018 CIO of the Year® ORBIE® Award for the Global category. The CIO of the Year ORBIE Award honors chief information officers who have demonstrated excellence in technology leadership, according to an independent peer review process led by prior ORBIE recipients. Brad Mincke, Managing Director and Co-head of Research, was selected for the Buyside Director of Research and Higher Education Bonds categories. Kelly Cruse, Managing Director and Senior Fixed Income Analyst, was selected for the Water & Sewer Revenue Bonds category. James LeBuhn, Vice President and Senior Fixed Income Analyst, was selected for the Hospital Bonds (Stand-Alone & Systems) category. Bedford Lydon, Vice President and Senior Fixed Income Analyst, was selected for the Transportation Revenue Bonds – Toll Roads category. Derek Endsley, Senior Fixed Income Analyst, was selected for the Rising All-Stars category. Ryan Friend, Fixed Income Analyst, was selected for the Power Utility Bonds category. Collectively, the SMITH’s Municipal All-Star Program named McDonnell’s research team among SMITH’s top 10 All-Star Teams, ranking McDonnell 4th overall out of 89 buy- and sell-side firms in 2018. Natixis Investment Managers (formerly Natixis Global Asset Management) was recognized by the Boston Business Journal as having the most generous employees for the seventh consecutive year. Natixis Investment Managers (formerly Natixis Global Asset Management) was named among the top charitable corporations by the Boston Business Journal, placing 40th out of 100 firms. Subscribe to our media list. Unsubscribe from our media list. The Newsroom contains information about Natixis Investment Managers and its affiliates from around the world. Not all affiliates, products or services referenced in this area are available in the United States. Nothing in this area is intended to be an offer or solicitation of products or services in any jurisdiction. 2 In September 2018, the Boston Business Journal hosted its annual BBJ Corporate Citizenship Summit that convened business leaders on the topics of corporate philanthropy and social responsibility. Natixis Investment Managers (formerly Natixis Global Asset Management) and its Boston-based associates earned the following accolades: Named a 2018 Largest Corporate Charitable Contributor (40th out of 100 firms with $1.8 million charitable donations), and the Most Generous Employees distinction (average $1,257 donation per Boston-based associate).